This is a list of the past, present and future books of ONBC. The list contains only books that we’ve already discussed or that are actually on the calendar. They are organized by date and contain name, author and the reasoning behind choosing the book. 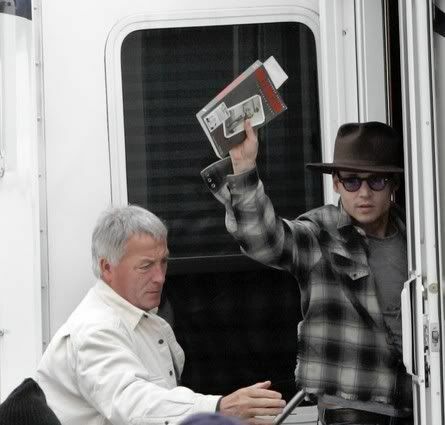 Johnny was filming the movie (Secret Window) at the time we were reading it. JD: "Fantastic! Unbelievable! Just… crazy. Beautiful. And perfect. And a kind of -- for me, like a bible. A bible because, yeah: 'The time of your life' - which is tiny - live! And don't hold anything against others. But if someone comes in and you have to take care of it, you have to take care of it. Take 'em out." Johnny Depp was supposed to have started filming this with Hunter and Benecio Del Toro in December 2003, but the movie was delayed. Apparently Johnny has taken over production, but there is no date as of yet on the filming. JD liked Jack so much he paid $15,000 for his raincoat and $10K for his tweed coat. 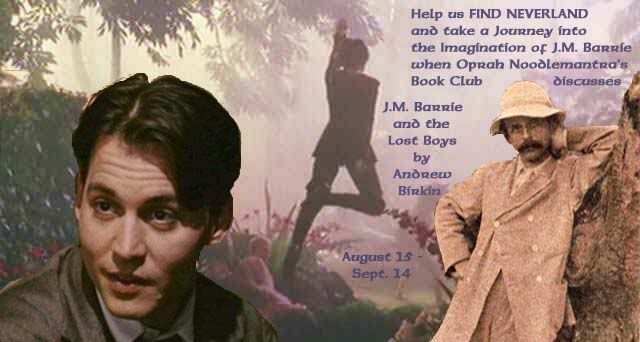 The bio of the author of Peter Pan played by Johnny Depp in Finding Neverland. 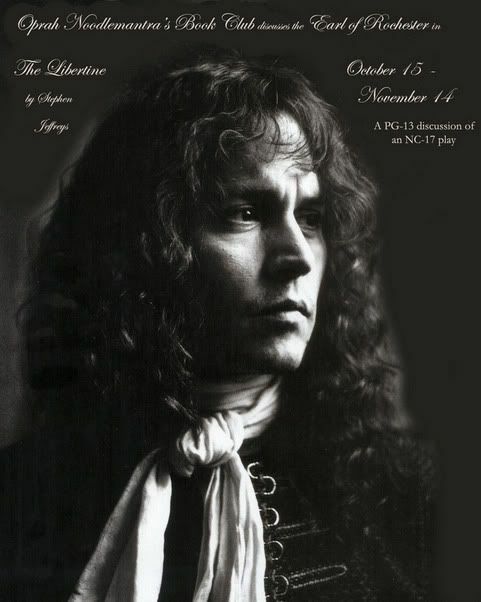 Johnny was subsequently nominated for Critics Choice, Golden Globe, BAFTA, SAG and an Academy Award. 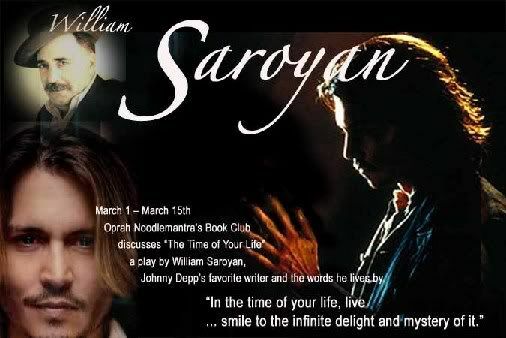 Johnny Depp’s film of the same name is based on this play. CATCF was released in July 2005. 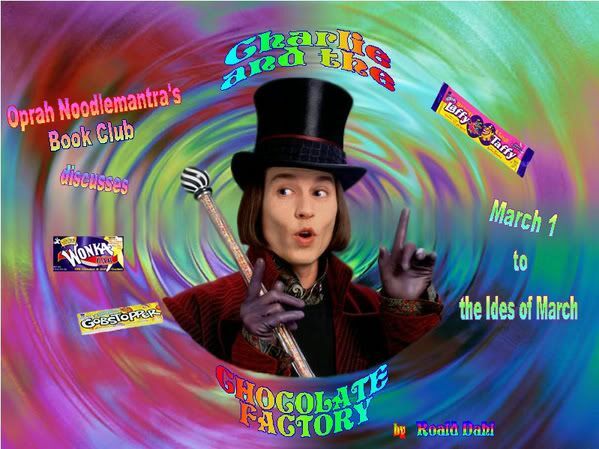 Johnny was subsequently nominated for best actor in a musical or comedy for his role as Willy Wonka at the Golden Globes. 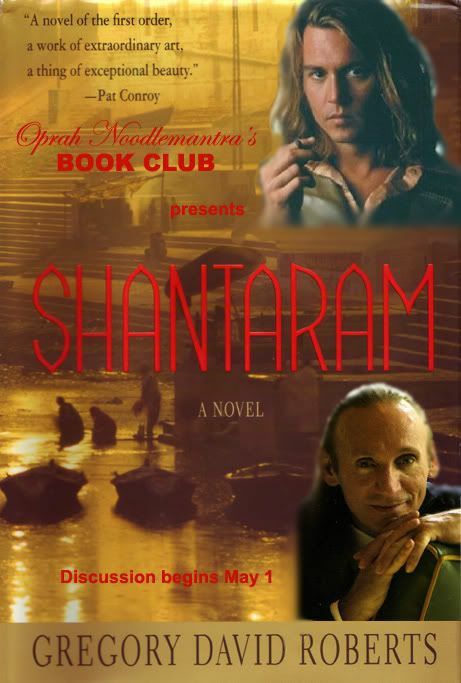 Johnny's production company, Infinitum Nihil, has purhcased the rights to Shantaram; and Johnny will star as the Australian adventurer, Lin. Johnny has always been a fan of the early silent film actors. 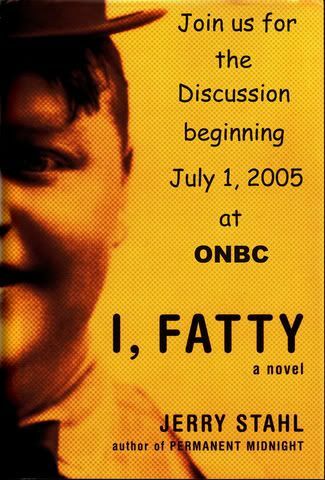 I, Fatty is another book recommended by Johnny and also a movie to be made by his production company. 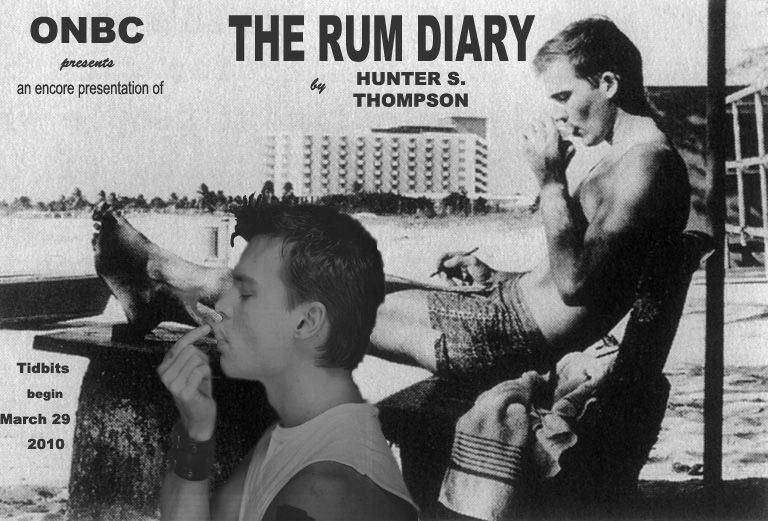 Johnny was a great admirer of Hunter S. Thompson’s writing and a very good friend of his. 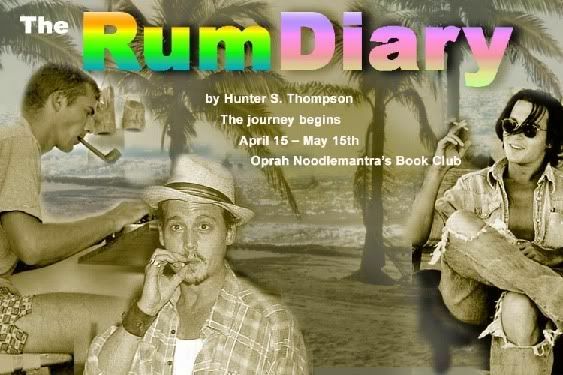 Johnny spoke fondly of Hunter S. Thompson on the Tonight Show, July 2005: “Hunter S. Thompson was…is still one of the most important writers of the 20th Century, as far as I am concerned. 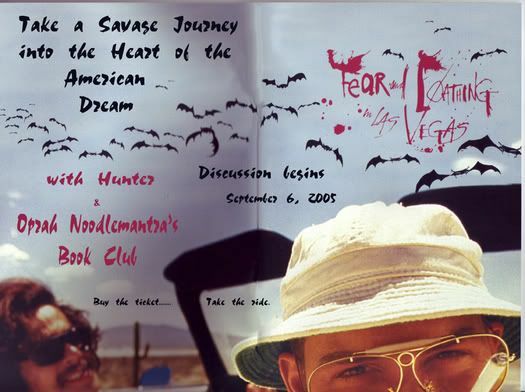 He wrote a classic book called Fear and Loathing in Las Vegas.” Depp starred as the man himself in Fear and Loathing in Las Vegas, the movie. 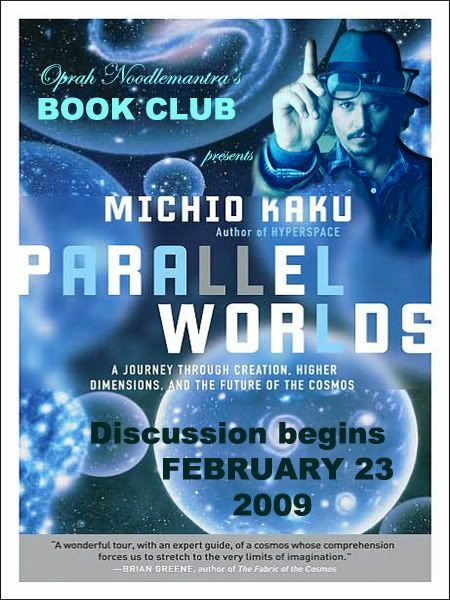 ALWD was also optioned by Infinitum Nihil. 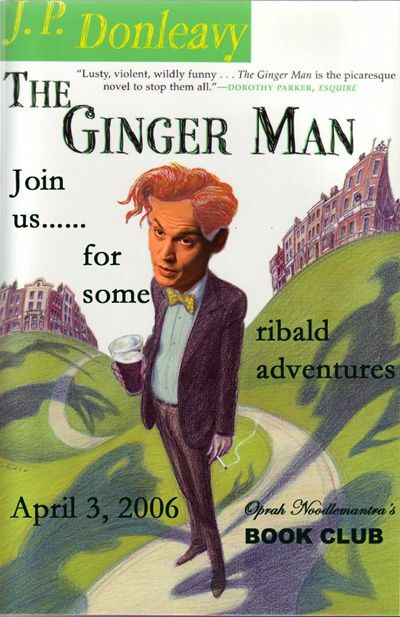 From the Irish Independent, January 21, 2006: "Donleavy has a new spring in his step following the news that Johnny Depp, an admirer of Donleavy's work, wants to bring The Ginger Man to the screen. The pair recently met up in New York and got on swimmingly. 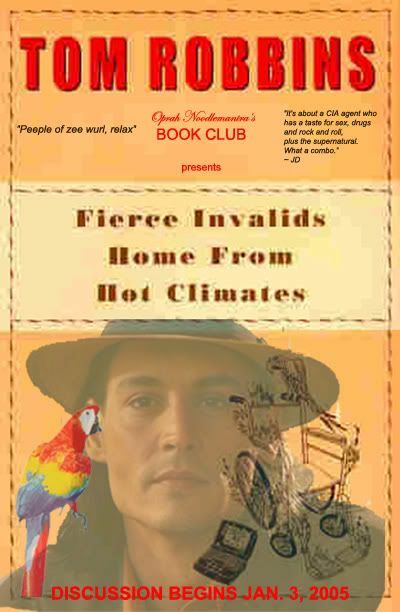 Depp will try where countless others - including John Huston and Robert Redford - have failed." 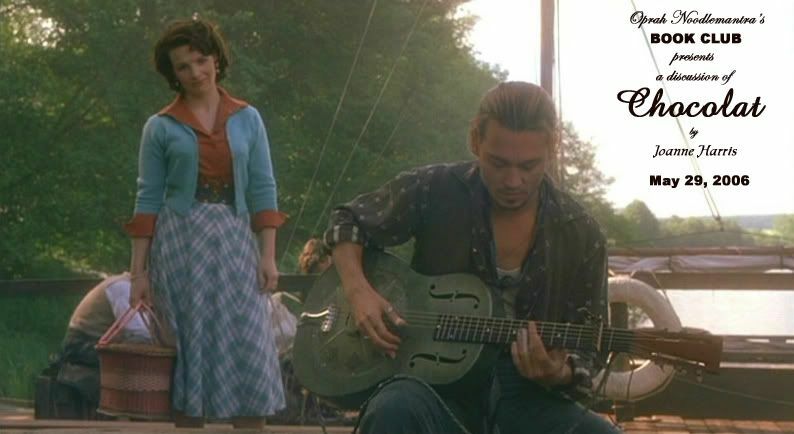 Johnny starred in the part of Roux in the 2000 movie adapted from the novel. Johnny was slated to star with Robin Williams in Terry Gilliam’s production of the novel, but funds for the project fell through. This collaboration with Tim Burton was released in December 2007. It earned Johnny his first Golden Globe Award, and the film a GG also, both in the Musical/Comedy category. 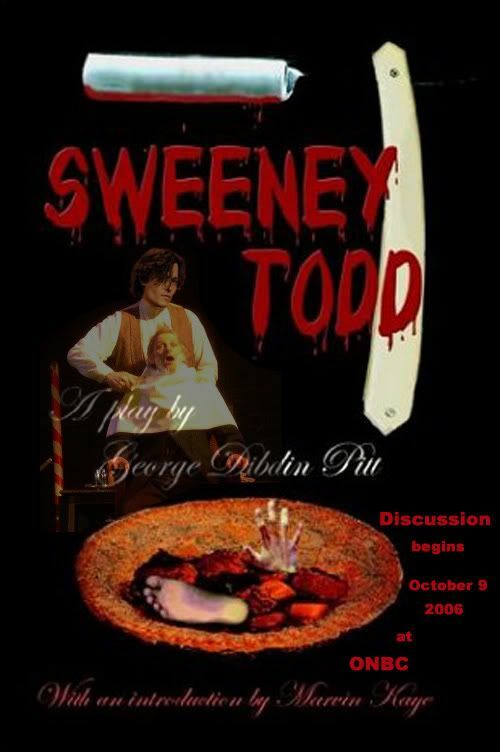 Johnny was also nominated for an Oscar for his performance as Sweeney Todd. Another future IN production. The last word (from Le Parisien) is that filming is planned to begin in 2008. Another future IN production. 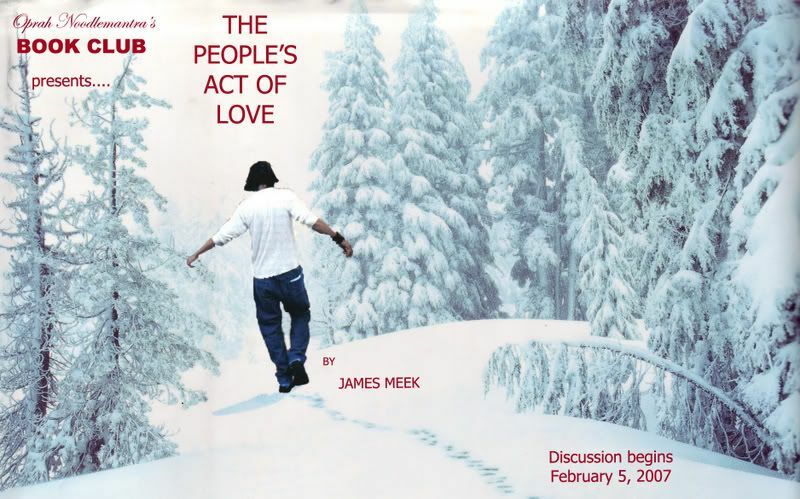 Johnny is quoted as saying: "As with any great work, James Meeks’ The People’s Act of Love is bound to raise comparisons – and as in almost all cases, being wrangled into that snare is a trap that should be avoided at all costs. This incredible book should and will rest on its own laurels as a treatise on the complicated nature of love and humanity. The author has himself earned every brilliant word, sentence and chapter of this divine masterpiece." 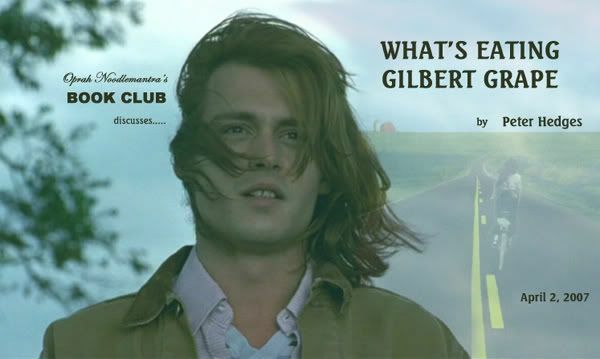 Johnny starred as Gilbert Grape in the 1993 movie adapted from the novel. 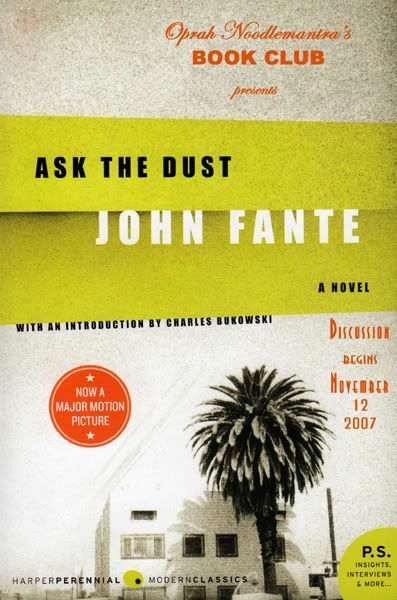 Being that we know that Johnny is a “big fan of John Fante’s”, why not continue the adventures of Arturo Bandini and read Fante’s most well-known novel and a favorite of Charles Bukowski’s. 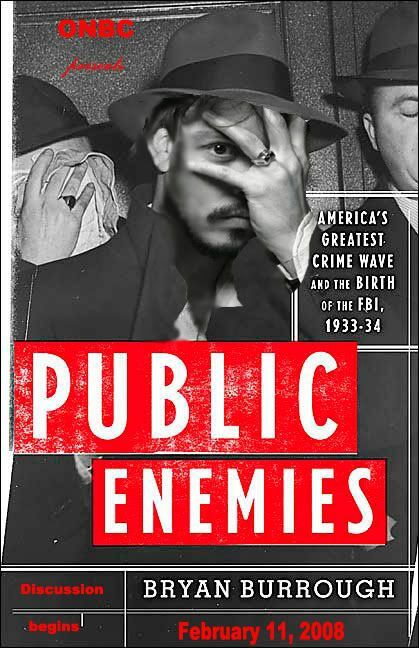 Johnny is currently filming Public Enemies, based on Burrough’s true account of the public enemies of 1933-34 and the birth of the FBI. 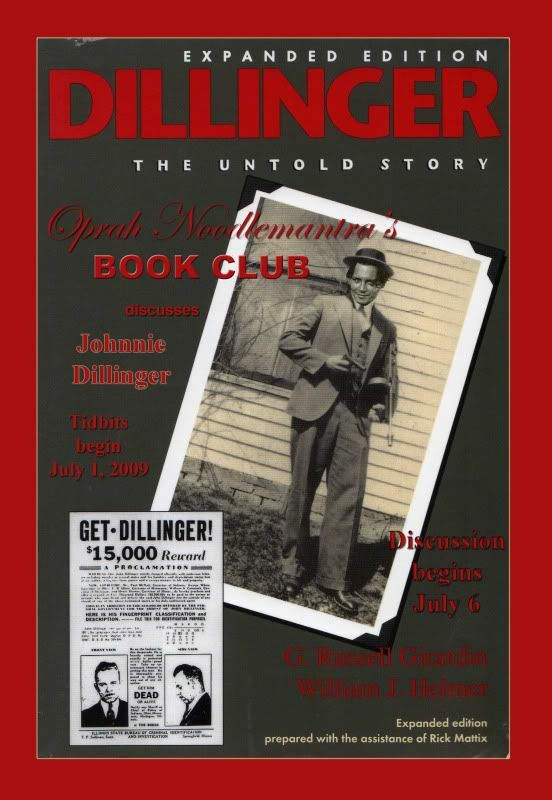 Johnny is cast as Public Enemy #1 – John Dillinger. 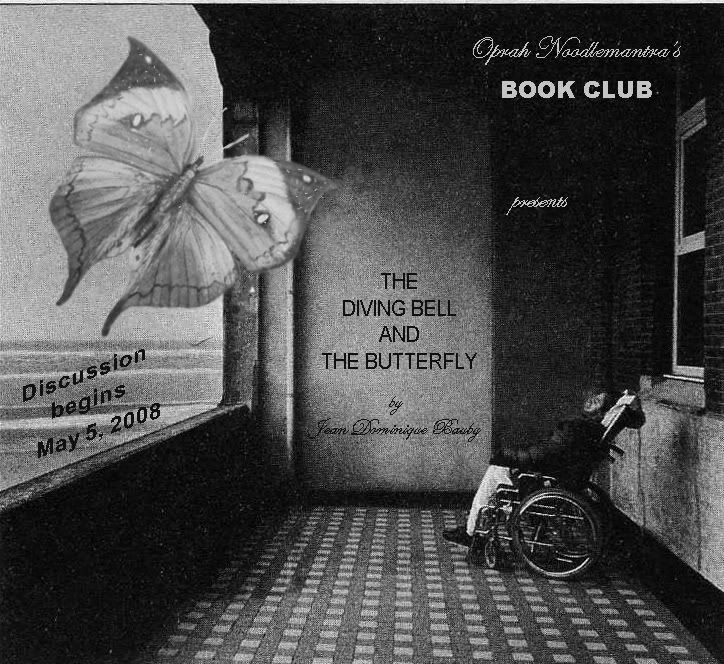 Producer, Kathleen Kennedy, wanted Johnny to play Jean Dominique Bauby in the film, The Diving Bell and the Butterfly. And Johnny wanted Julian Schnabel to direct. Schnabel remained with the project. However, in the end, Johnny was unable to play Jean-Do due to his commitment to Pirates. 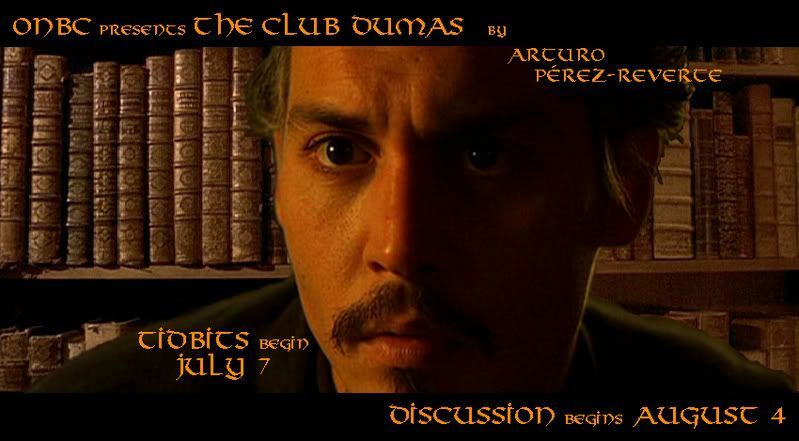 The Club Dumas was the inspiration for the film, The Ninth Gate (1999), in which Johnny Depp plays Dean Corso (Lucas Corso in the book). Johnny has mentioned AMF numerous times, and his fondness for Paris and the era of the 1920s. Ernest Hemingway was also one of Hunter S. Thompson’s favorites. 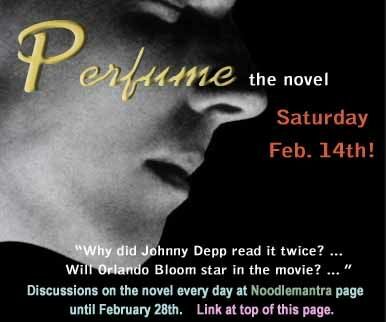 A first novel full of Hollywood intrigue by Johnny's brother, Daniel Depp. has been optioned by Infinitum Nihil. 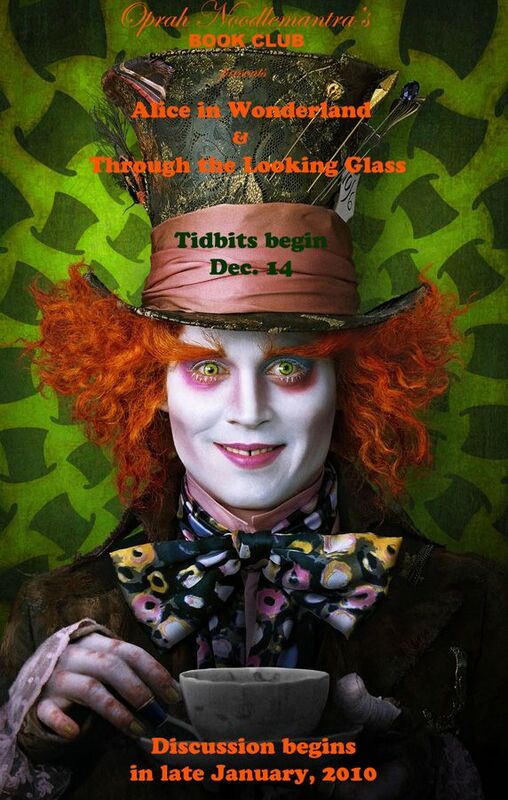 Johnny and Tim Burton reunite for their 7th film in a sequel to Lewis Carroll's Alice's Adventures in Wonderland and Through the Looking Glass. 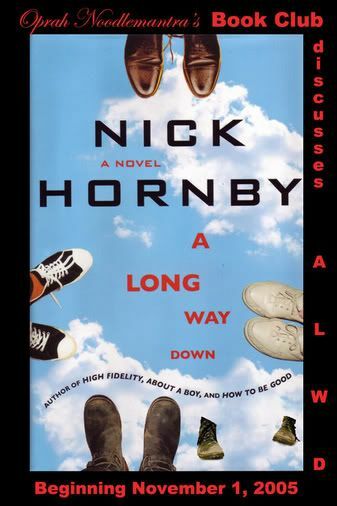 Hunter’s novel was first discussed on ONBC in April of 2004. In celebration of the release of the film we revisited Paul Kemp in Puerto Rico (although the film was delayed until October 2011). Infinitum Nihil is the production company producing Martin Scorsese’s film by the same name, which is slated to be released in November 2011 (according to IMDb). Babylon Nights is the second in a series a planned series of three by Johnny’s brother, Daniel, on the adventures of private detective, David Spandau. 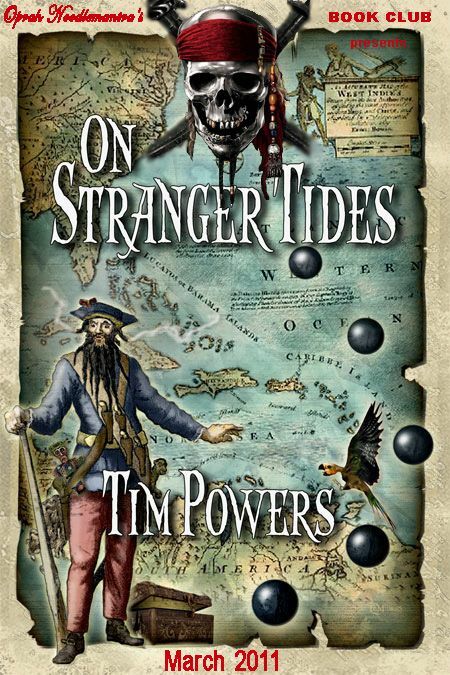 On Stranger Tides was the inspiration for the POTC series and the name of the most recent POTC film. 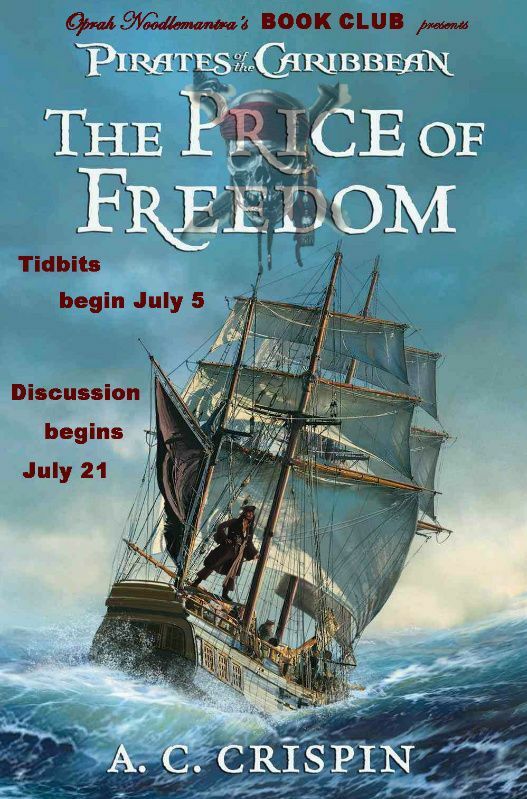 The Price of Freedom is the back story of Captain Jack Sparrow published by Disney. Life is Keith Richards’ autobiography. 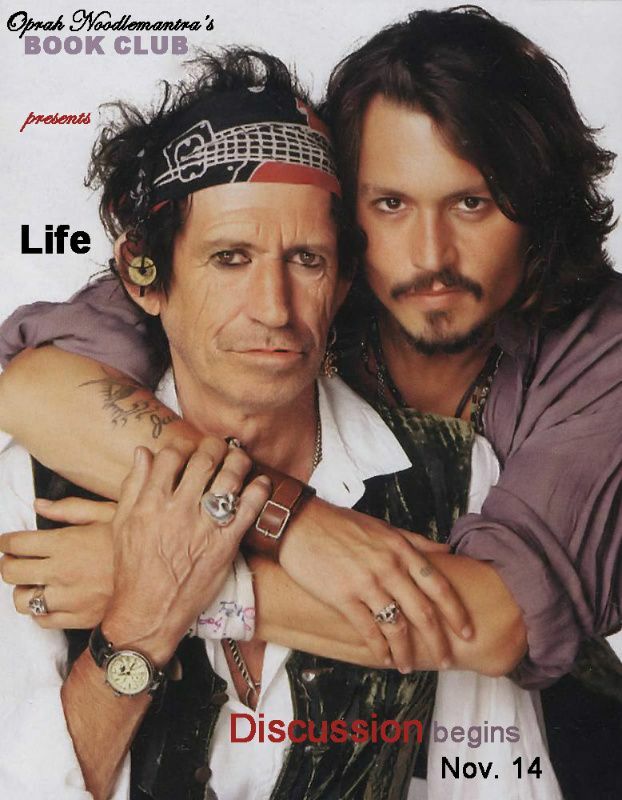 Keith, as we know, was a major inspiration for the Captain Jack Sparrow character and also played Jack’s dad in AWE. 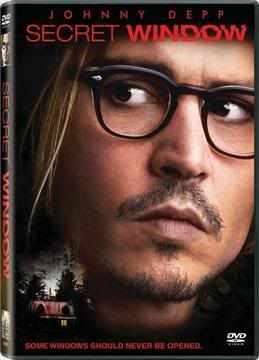 The Hollywood Reporter announced in March of 2011 that Johnny was attached to star in the remake of the classic private eye movie, The Thin Man, with Rob Marshall to direct. The Reporter indicated that Infinitum Nihil would produce the movie. WB has since delayed filming. 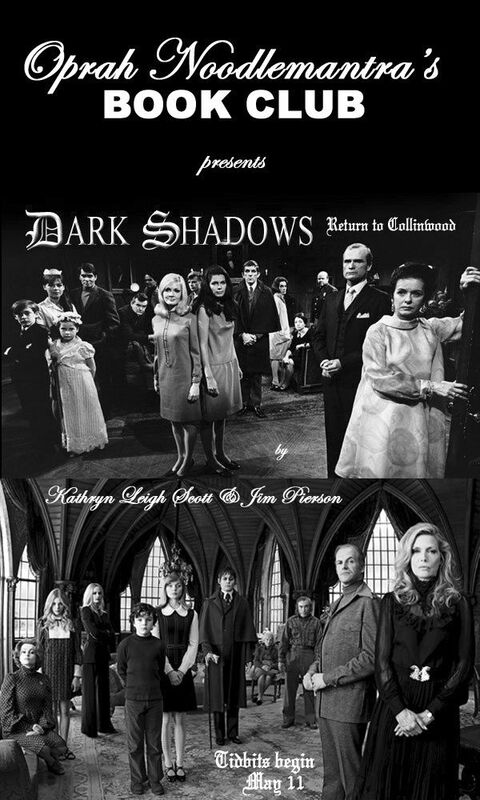 Dark Shadows: Return to Collinwood was chosen for discussion in conjunction with the release of Dark Shadow, a Tim Burton/Johnny Depp collaboration. House of Earth is the first book to carry the Infinitum Nihil’s imprint under Harper Collins. Patti is part of the Depp Family – a close friend to Johnny. Also she captures a time, place and people – artists, writers, musicians – that was formative in terms of art and music history. The Lost Honor of Katharina Blum is a book from a list of several books that we were very lucky to be able to confirm with the Patti Smith organization that both Ms. Smith and Mr. Depp have read. Johnny starred as Whitey Bulger in the 2015 movie Black Mass, based on the book of the same name by Lehr and O’Neill. Johnny’s 2015 movie Mortdecai was very loosely based on The Great Mortdecai Moustache Mystery. Devil’s Dance is the final in the trilogy on the adventures of private detective, David Spandau, written by Johnny’s brother, Daniel. 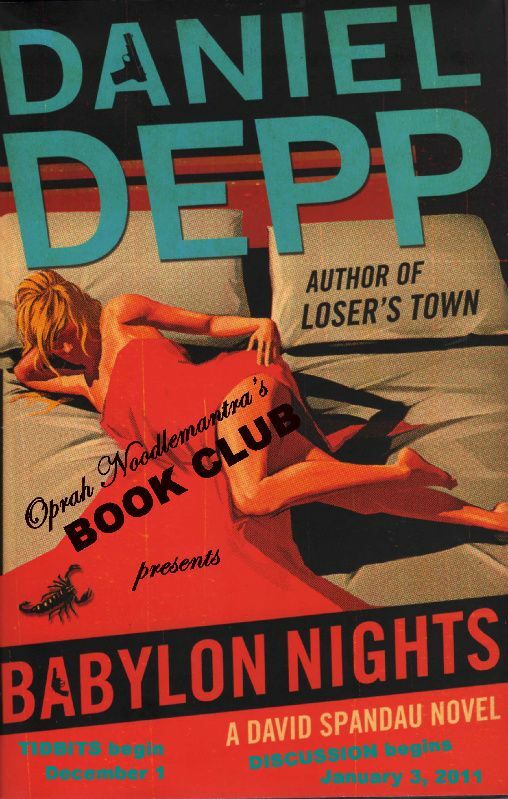 What in the world is "Oprah Noodlemantra's book club"? 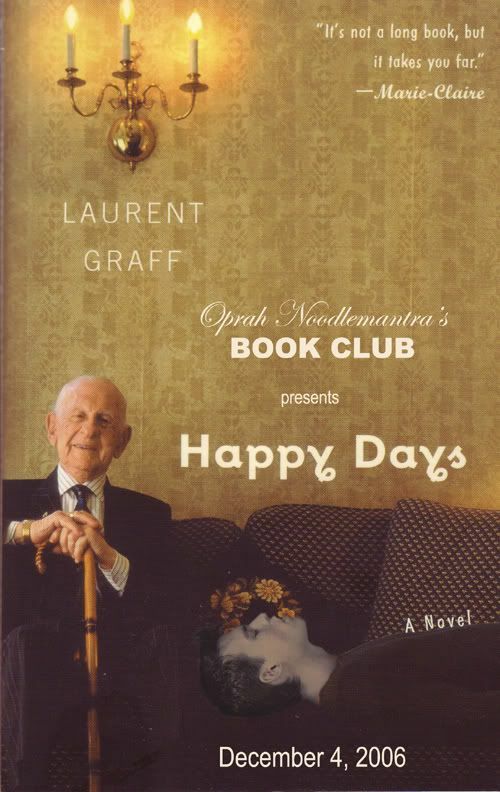 Oprah Noodlemantra's Book Club (ONBC) is a forum where we discuss books. 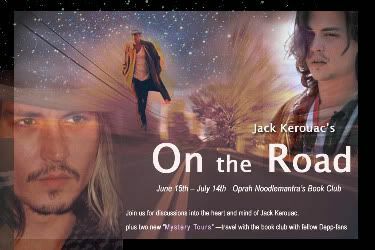 The books can be books that Johnny has enjoyed reading, books by his favorite authors, books by his friends, books that have inspired his movies or books optioned by IN. 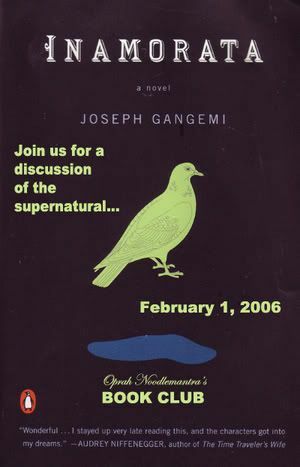 This particular thread gives the reasons for each book we've discussed since our first book discussion in 2003 - of Secret Window, Secret Garden. 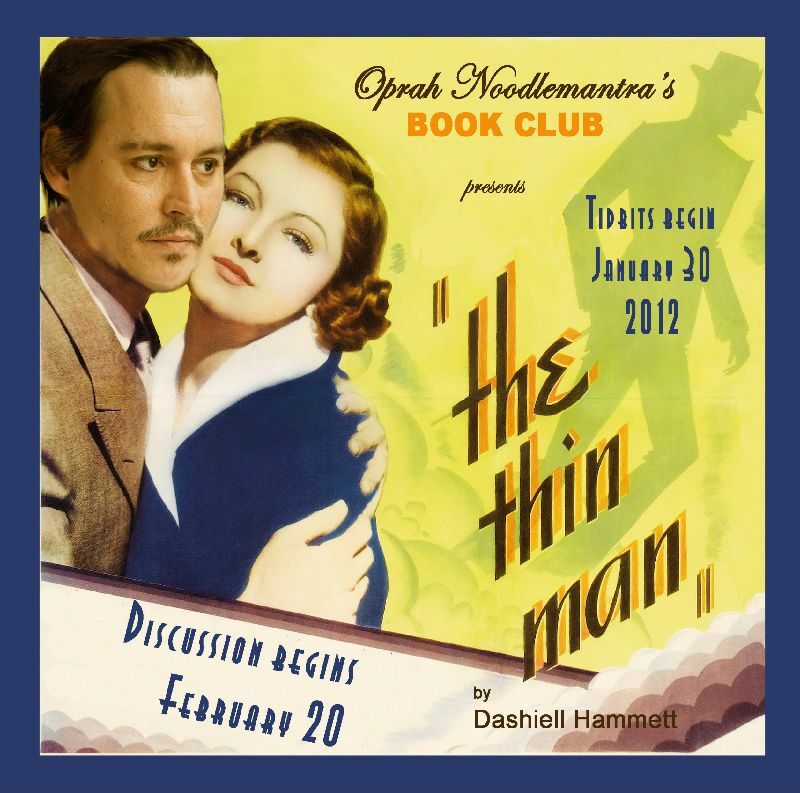 Our next book discussion will be of The Master and Margarita. 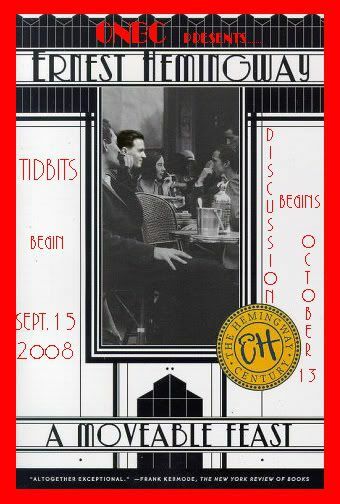 We hope that you will join in the discussion. See the announcement entitled, "Summer reading with ONBC" at the top of the page for more details. Wow! Very interesting! 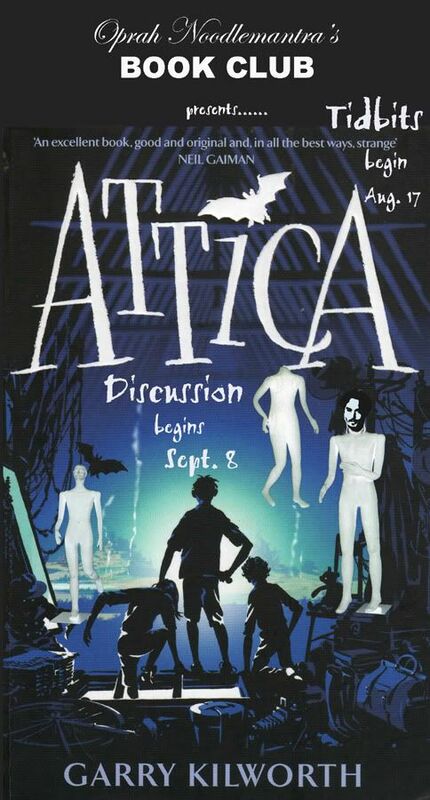 I was just a little confused with the book covers! Then I realized they were 'adjusted' or photoshopped. Just scrolled through all the books on this list. 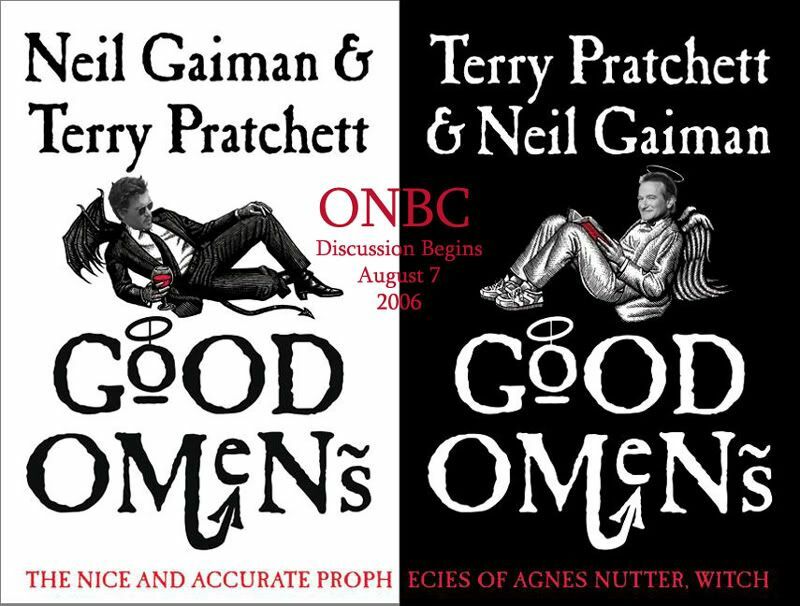 ONBC has discussed some fantastic book through the years! Anything on the horizon? Well, I am always up for a read and a write. 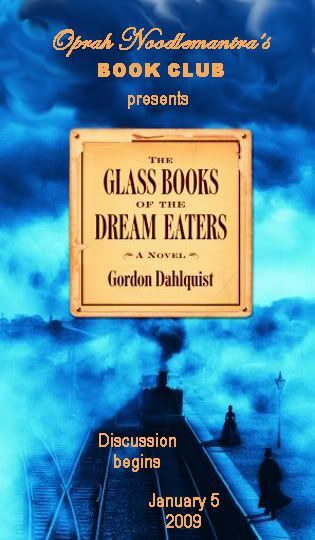 The trick is getting a book that has ties to Depp and will also stimulate the interest of readers here. Early on I was hoping LAbyrinth would make a good choice, but the movie was sidelined for a bit. Now, of course, it's set to be released in early September under the title City of Lies. Still up for the read -- we'll have to see how the movie goes. Another possibility is In The Name of the Son: The Gerry Conlon Story by Richard Rawe. Conlon spent fifteen years in a Northern Irish jail as one of the Guilford Four charged in the bombing of a pub. Eventually winning his freedom and given a 1 million pound compensation by the government, Conlon ran wild, spent the money, and developed a massive drug habit before beginning a new life as an activist. 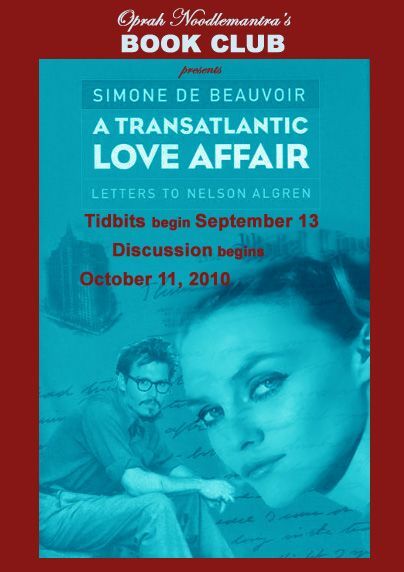 Depp, a long time friend of Conlon, wrote the foreword. And then a third possibility would be Devotion (Why I Write), Patti Smith's latest book. A slim book of just over 100 pages, it is an account of her creative process. I've read reader comments on the book and they are resoundingly good. Finally, timing is also a legitimate factor in the ONBC process. The articles are much fun to write, but they require a lot of work and a good deal of blank time when the writers truly have nothing else on the horizon. We'll have to see how it goes. Let's pick a book and take the ride! Patti Smith is always a fun read and short enough for a busy summer. The Gerry Conlon Story sounds the most intriguing and I'd love to read it someday. Just saw the movie In the Name of the Father, this would be a good follow-up. Not too thrilled about LAbrynth, but it is next on the Johnny hit parade. It might be good to have some background on the case(s) before seeing the movie. Sorry for the delay! Lots going on today on the home front. In any case, I started LAbyrinth in the Fall 2016, but didn't finish it. 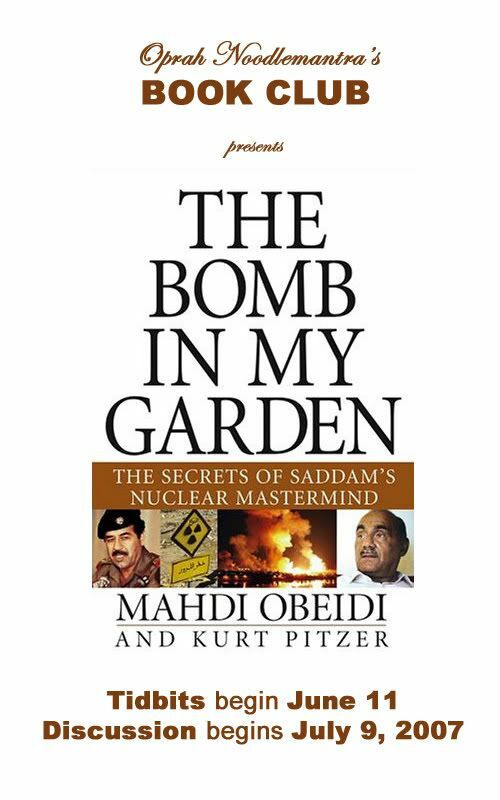 I would describe it as a non-fiction book, very well researched. Randall Sullivan is a journalist who has written for the Washington Post, The Guardian, The Rolling Stone, and Wired. Three of his books -- always nonfiction--were nominated for Pulitzer prizes. I think it's good. My only hesitation at the moment is we are very close to the release of City Of Lies. We don't know how that film will be received. If we are in the process of reading and the movie is panned, it could decrease interest. Conversely, if it's successful then our choice would be fortuitous. It is likely the most dense (word-wise) of the three books. To be honest, In the Name of the Son doesn't interest me as much as In the Name of the Father would (the original film about Conlon's life in prison). The book hasn't attracted many reviews, although I read one from The Irish Times that was pretty good. I would want one of us to start the book and report back so that we are picking a book that others would find interesting. Finally Devotion by Patti Smith. 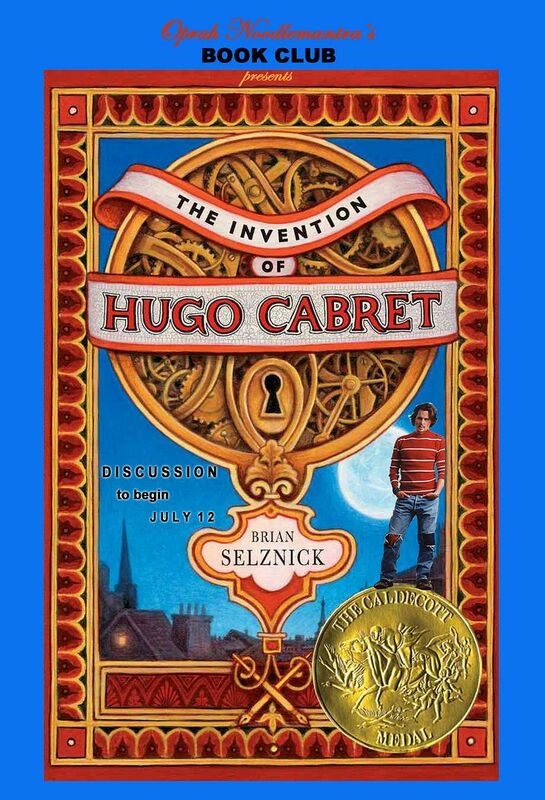 I've read decent reviews and reviews that didn't praise the book as highly as M Train or Just Kids. Again, I recommend that one of us take the leap and read the book. 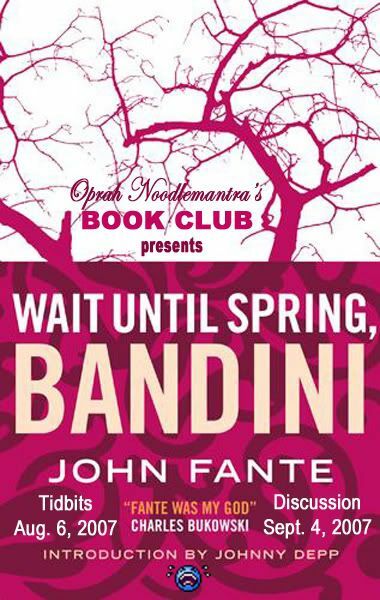 I have read several other of Patti's books. I can continue to read LAbyrinth -- only up to page 50 -- and report back. I would also be willing to take a chance with Devotion, although if you wish to take it on, I would be more than comfortable with this. I think we know what we want -- high interest, good for tidbits, and generally of interest to our readers. What say you about this way of proceeding? Scheduling questions would be next. I am taking one of my writing courses this month and next. Some plans for early August. My best time frame would probably be mid September as a start for tidbits. I've just put Patti's book on hold at the library. When I've read it I'll report back! Great! Looking forward to seeing what the decision is! I've had a chance to read Devotion. It begins in M-Train cultural territory, but then veers into a novella that I found tedious and trite. I can't really recommend it, except to say it's a fast read! cussot wrote: I've had a chance to read Devotion. 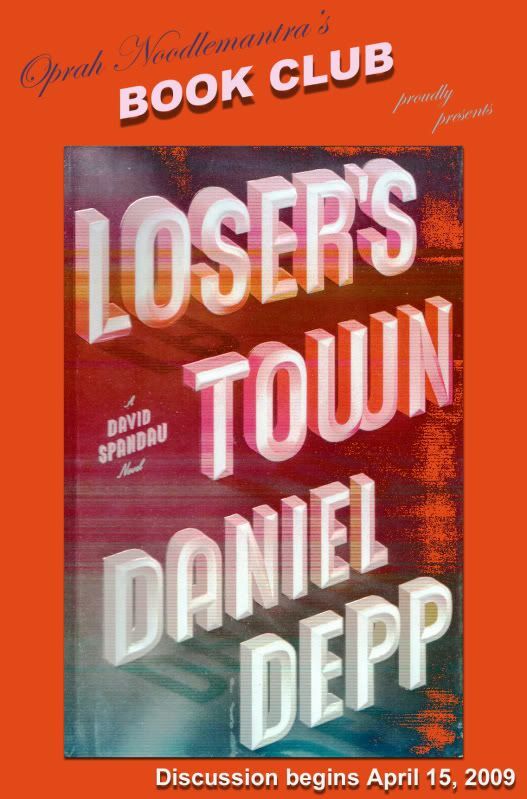 It begins in M-Train cultural territory, but then veers into a novella that I found tedious and trite. I can't really recommend it, except to say it's a fast read! I've got the book now and will be reading it this week.